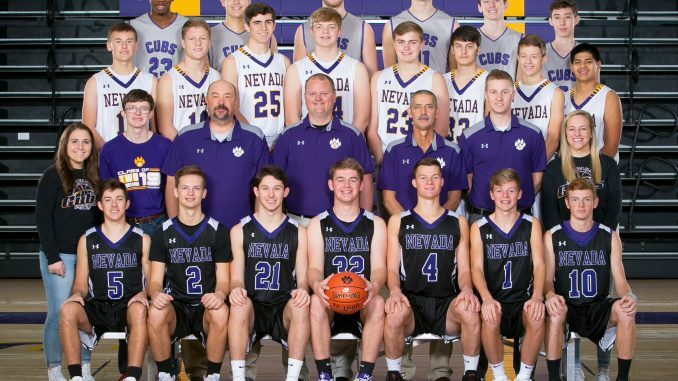 The Nevada boys varsity basketball team beat Roland Story 62-56 on Thursday, January 31. They had a very strong first quarter scoring 17 and their defense kept Roland Story’s points to nine. They also had a strong second quarter scoring 20 points and only letting Roland Story score 11. The top scorer for the night, Tyler Sansgaard, went six for seven at the free throw line and scored a total of 25 points. Kody Kruschwitz scored 17 points, and was three for five at the three point line. Devin See scored ten points and had 11 rebounds. The boys varsity team is now 8-12. The Cubs had a great night and are ready to get back in action on Monday, February 11. Article contributed by Peyton Hanson.